Only a week after a Chinese court banned the import and sale of older iPhone models due to a Qualcomm injunction, the same fate has befallen the iPhone 7 and iPhone 8 in Germany. Qualcomm’s ongoing feud with Apple is wide-ranging in its nature and has raged on for over two years, but recent complaints are in relation to the tech giant allegedly stealing the chipset manufacturer’s intellectual property. Apple is working on an appeal to the German court’s decision but, in the meantime, has suspended sales of the iPhone 7 and iPhone 8 from all 15 of the company's stores in the country. They can be sold by third-party retailers, however, and all other models are unaffected. The Chinese ban was in relation to photo editing and touchscreen multi-tasking patents but, because Apple responded quickly and removed the offending features from iOS, sales of the older devices were subsequently resumed. 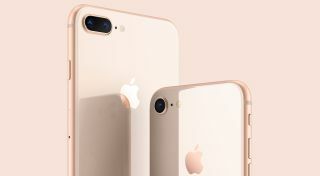 In the case of the German ban, however, it is the iPhone’s power saving functionality that is in violation, so it’s unclear whether Apple will be able to fix the issue with a software or firmware update in order to continue sales of the units. Considering this is the second country in as many weeks to enact Qualcomm's injunction wishes, it's possible we'll see Apple's older handsets pulled from shelves in other regions in the coming months.